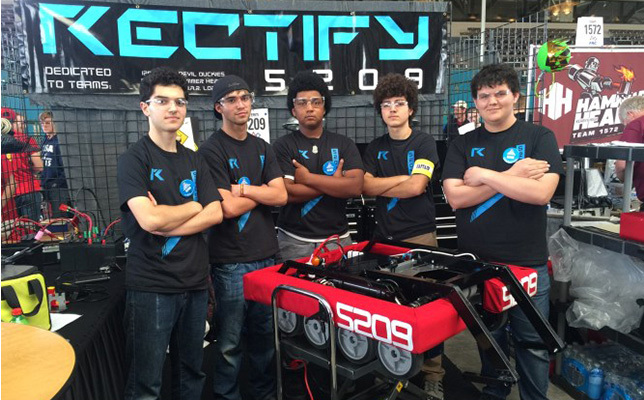 Rectify was a FIRST robotics competition team consisting of high school students from the 2016 Maker Faire San Diego. To participate, complete an entry form at the San Diego Maker Faire website. Individuals or groups may submit entries. Groups can include schools and hobbyist clubs. Sept. 8 is the closing date for all entries. 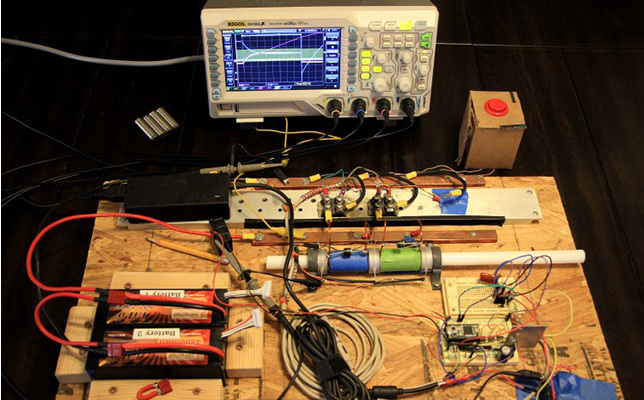 A multistage electromagnetic linear accelerator (aka. Coign) from the 2016 Maker Faire San Diego. For further details, visit the Maker Faire San Diego website. Maker Faire San Diego is produced by the Balboa Park Cultural Partnership and the San Diego Makers Guild.